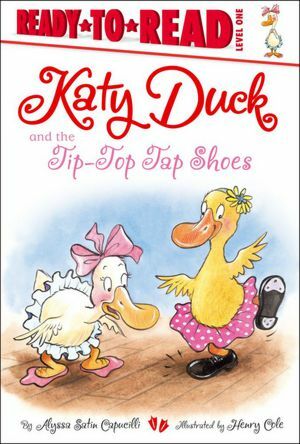 Katy Duck meets a new friend AND learns a new dance in this encouraging tale for beginning readers. There’s a new student in Mr. Tutu’s dance class! When dancing diva Katy Duck meets Alice, she thinks Alice has forgotten her ballet slippers! Instead, Alice is ready to make some noise in a pair of tip-top tap shoes! Together, Katy and Alice learn that sharing can be fun…and that there is always more to learn!